“Operation Market Garden” was supposed to end World War II by Christmas in 1944. After the successful Allied landings in Normandy, British Field Marshal Montgomery wanted to penetrate the Ruhr area of Germany in one single powerful thrust, crippling what remained of German industrial production in one stroke. However, the operation proved to be a disaster from the start due to bad weather, a smidgen of hubris, and not acting upon the information supplied by the Dutch Resistance. Ultimately, it would be “A Bridge too Far,” as the title of the famous 1977 movie suggests. Meanwhile, the operation would become the setting for countless acts of bravery on the parts of the servicemen involved. 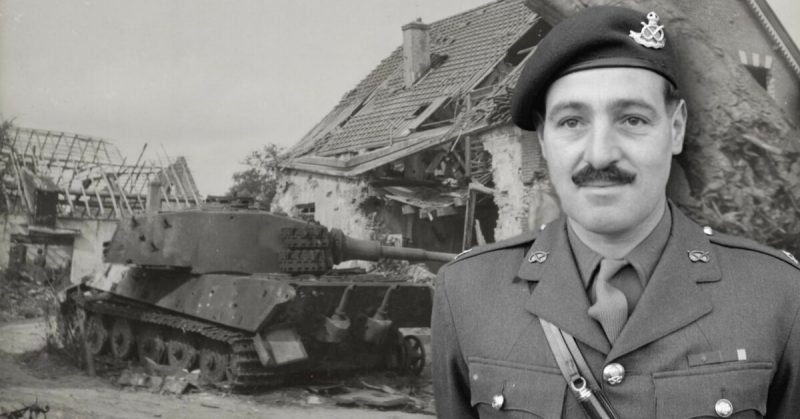 One such man, who displayed extraordinary bravery during Market Garden’s Battle of Arnhem, was Victoria Cross recipient Major Robert Cain, without whom many more men would have perished. And follow him they did. 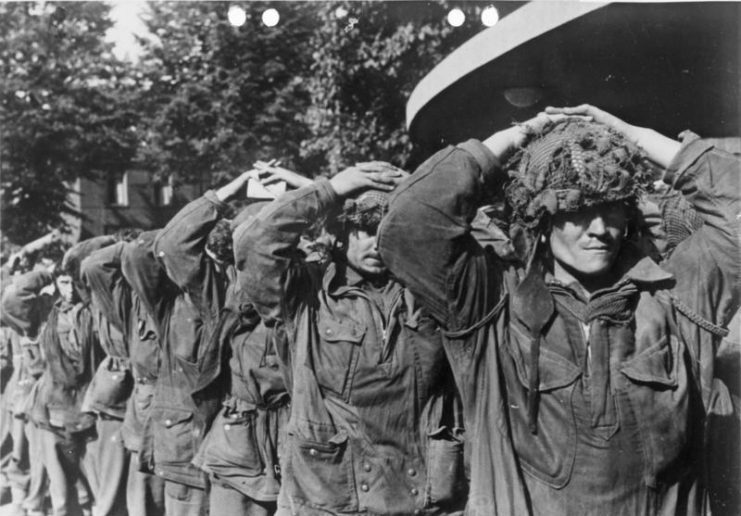 The men of the British First Airborne Division left England in September 1944 in high spirits. The destination was the Dutch city of Arnhem and their orders were simple: they were to land in enemy-occupied territory and hold the Arnhem road bridge across the Rhine River at all costs. Nothing could go wrong: the planning was meticulous and German morale virtually nonexistent. On paper, Montgomery’s “Market Garden” looked excellent. The Allies had access to almost unlimited resources in the form of tanks, jeeps, and most importantly, airplanes and men. That the Germans would not know what hit them was widely boasted amongst the planners, when, in fact, it would be actually the other way around. 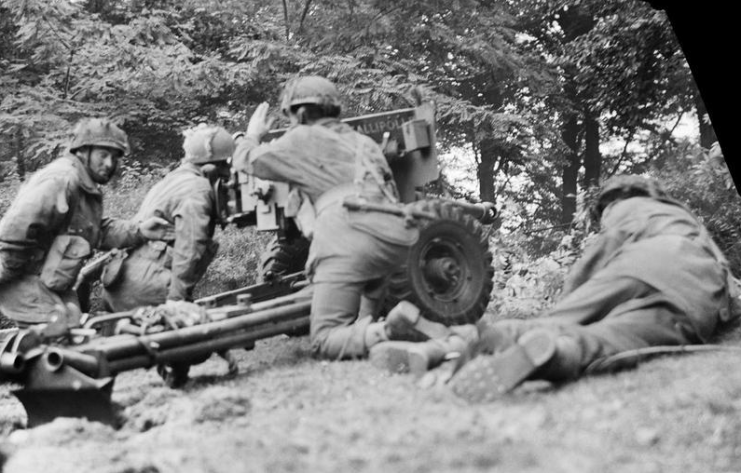 Operation ‘market Garden’ – the Battle For Arnhem, September 1944.The gun was at this moment engaging a German PzKpfw B2 (f) Flammpanzer tank of Panzer-Kompanie 224 and successfully knocked it out. 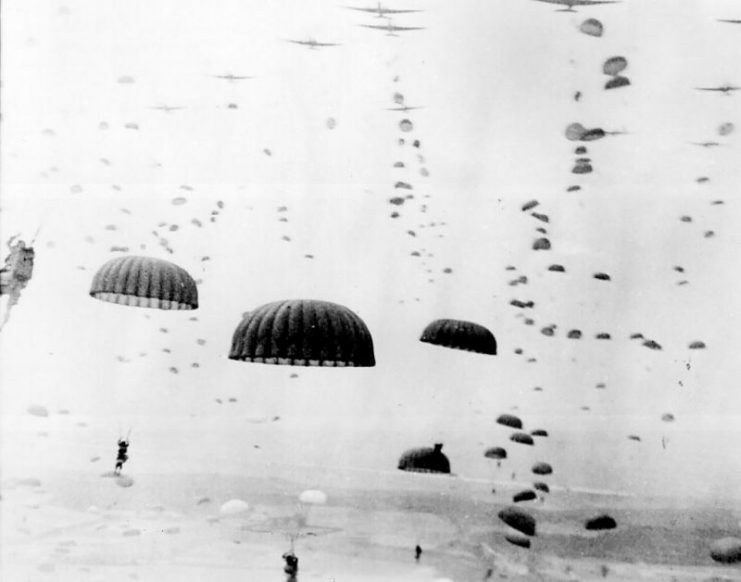 The plan was that an “airborne carpet” of Allied paratroopers would set the stage for a concerted push right through Holland into the heart of the Lower Rhine and on to the Ruhr. All these brave soldiers had to do was secure the bridges spanning the many canals and rivers separating the Allies from the German heartland. But the execution of the plan was riddled with mishaps almost from day one. To be sure, the landings on the first day, September 17, mostly went off rather smoothly. However, the tanks belonging to the British relief force made much slower progress than planned. The German defenders had blown up two smaller bridges before US paratroopers could secure them. The pontoons then required for the crossing had to be brought in from Belgium. But worst of all, the exhausted but still lethal unit of the II SS Panzer Corps was in place. 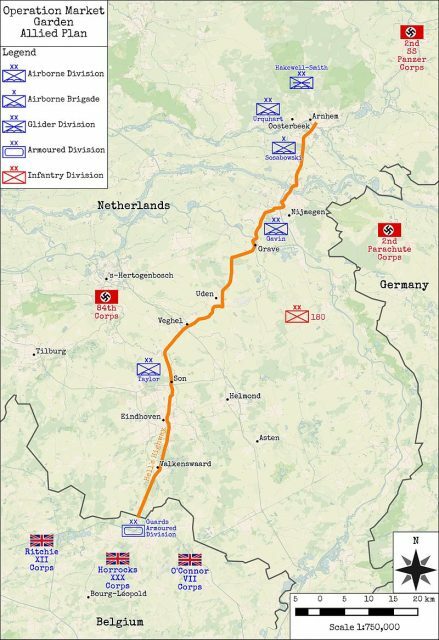 The tank division immediately attacked the lightly armed British paratroopers at Arnhem on September 18. To compound this problem even further, the landing of the second wave of men with jeeps and light artillery had largely failed due to bad weather. Ultimately, the British First Airborne Division was left alone to face a vastly superior force of heavy tanks, most of which consisted of the renowned and almost indestructible Tiger model. It was in such a situation that men like Major Robert Cain showed their bravery. Robert Henry Cain was born in Shanghai, China, on January 2, 1909. As his parents were Manx, he and his family returned to the Isle of Man where he was educated at King William’s College. After his schooling, Cain joined the Honorable Artillery Company, which was a unit in the Territorial Army, a reserve force of the British Army. After that, he started work for the Shell Company and worked in various international postings. The Battle of Arnhem, however, was where Major Cain would truly shine. A German Sturmhaubitze 42 at Arnhem. “He fought for nine days consecutively and was always at the forefront of the battle and encouraging his men forward….He was wounded, temporarily blinded, had perforated eardrums from firing weapons but was still at the front with his men, and that is why he was awarded the highest honor,” said Bob Quayle in his interview with the BBC. The British had landed right on top of a viper’s nest. As previously mentioned, the II SS Panzer Corps was in place. For once, since the Allied invasion of mainland Europe, the Germans were in a superior position. The British paratroopers simply did not have sufficient equipment to face the Germans. The Allied plan quickly unraveled. Several attempts to conquer Arnhem Bridge failed. All the British paratroopers could do was settle into buildings on both sides of the bridge and commence enfilading fire. However, just over 88 hours after their arrival, the men had completely expended their ammunition. 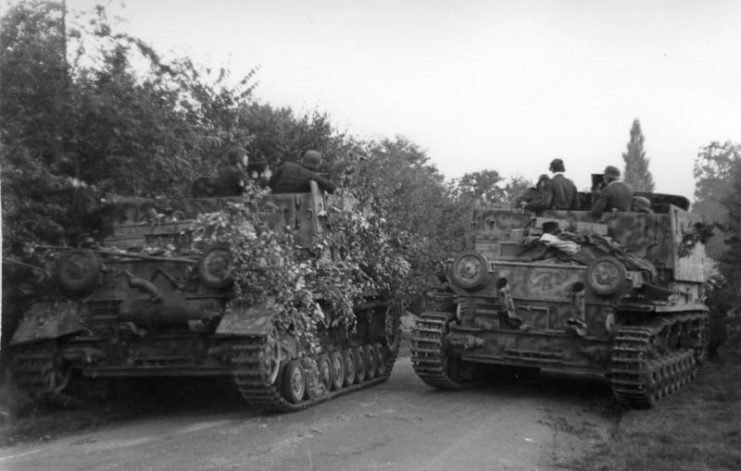 Had everything gone according to Montgomery’s plan, Allied tanks would have been on the eastern bank of the Lower Rhine after 16 hours, 40 at the most. What happened to Major Cain during this time must have been like a blur. Reading the description of the events on the accompanying citation for his Victoria Cross, we can only imagine what horrors Cain and his men of the South Staffordshire Regiment experienced. 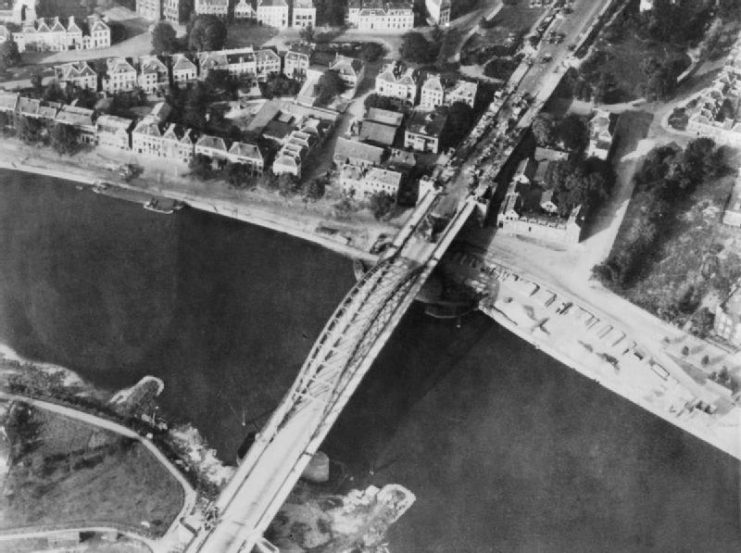 Aerial reconnaissance photo of the Arnhem road bridge taken by the Royal Air Force on 19 September, showing signs of the British defence on the northern ramp and wrecked German vehicles from the previous day’s fighting. On September 19, Major Cain and his regiment were cut off from the rest of the British First Airborne Division. For the next six days they engaged the enemy’s far superior forces. Major Cain showed great leadership and courage, staving off the Germans and keeping the whole situation for the rest of the airborne division intact. Without his extraordinary effort, the British position would have been untenable right from the onset. On September 20, a German Tiger tank rolled up to the position held by his company. Major Cain headed out on his own to deal with the threat with a PIAT, a portable anti-tank weapon. He waited until the tank was only 20 yards away before opening fire. He continued to do so, despite coming under heavy return fire, until he disabled the tank. Not even wounds suffered from falling masonry forced him to retreat–he kept on fighting until the threat was neutralized. The following morning, Major Cain fearlessly held off three more enemy tanks with his trusted PIAT in hand. He kept up this performance during the ensuing days. According to his men, he was everywhere, giving orders, maintaining morale and displaying his example of unmatched bravery. He refused medical care for serious wounds including a shattered eardrum, multiple lacerations, and even temporary blindness. 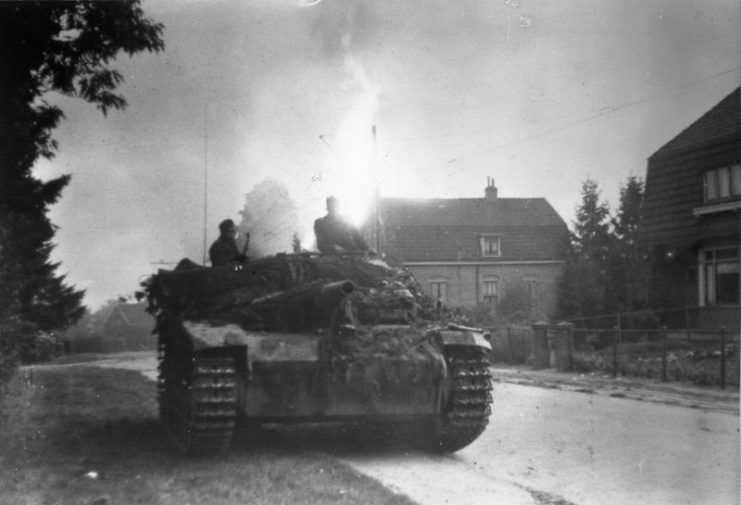 Finally, on September 25, the Germans launched a concentrated offensive on Major Cain’s position with flamethrowers, self-propelled guns, and infantry units. 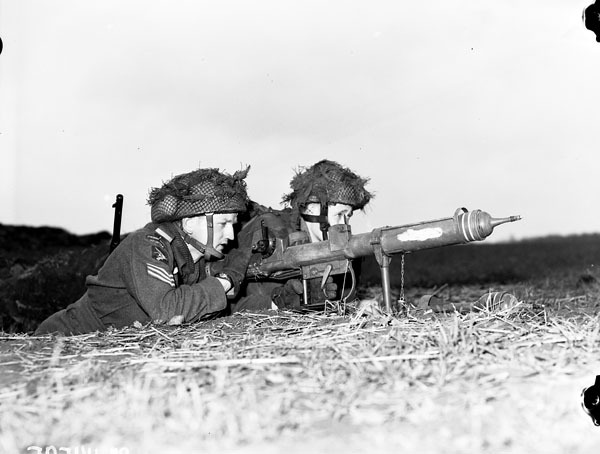 The South Staffordshire Regiment no longer had the use of the PIAT, and Major Cain only had a light 2” mortar. However, with his customary coolness and pluck, he managed to use the unsuitable weapon to such an effect that the enemy withdrew in a state of comprehensive demoralization. 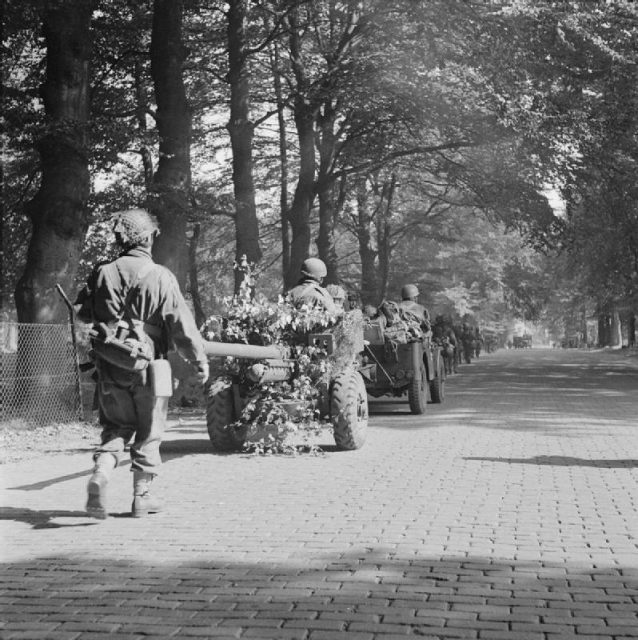 Men of the 2nd Battalion, South Staffordshire Regiment, of the 1st Airlanding Brigade, advance toward Arnhem, towing a 6-pounder anti-tank gun with them, 18 September. That very same night, Major Cain ordered his men to cross the Rhine to the safety of the Allied lines. As if he were the captain of a sinking ship, he again showed his unsurpassable spirit by waiting until the last of his men was across before he himself attempted the crossing. Meanwhile the British tanks, as a part of the relief force, had left Nijmegen more than two days late. The weather improved enough that supplies and other airborne troops, including a Polish brigade, could be brought in. But for the remaining British soldiers still stuck in Arnhem, all the help came too late. They were utterly exhausted and had to surrender. 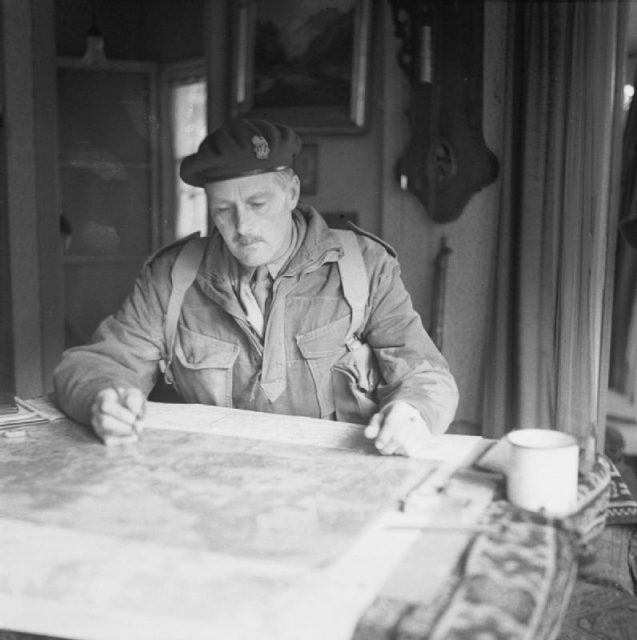 Montgomery’s plan resulted in a severe Allied defeat. Above all, the momentum of the advance that had driven the Allies since the Normandy invasion in late July and early August 1944 had been stopped. The British 1st Parachute Division, an elite unit, was mostly wiped out in Operation Market Garden. The remaining quarter of their men were not used at the front until the end of the war when they were shipped to Norway. Major Cain remained with his unit until after the war, and resigned his commission at the end of 1945. In the aftermath of the Second World War, Robert Cain, now a holder of the Victoria Cross, once more took up his position with Shell. He worked and lived in Asia and West Africa and was even elected to the Nigerian House of Representatives while working there. He eventually retired and returned to the Isle of Man. 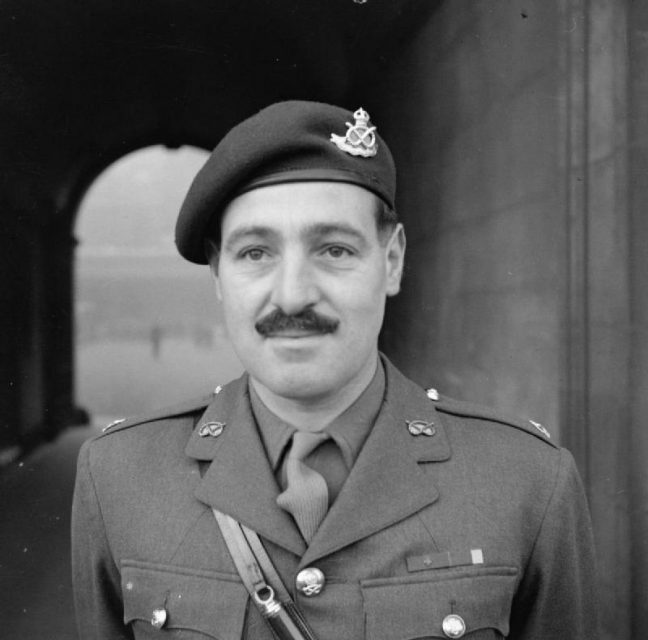 On May 2, 1974, one of Britain’s most renowned Second World War heroes died of cancer. His final resting place is in the family gravesite at Braddan Cemetery on the Isle of Man.